Decisions, Decisions… Should I Knit the Top of This Hat or Keep Crocheting? 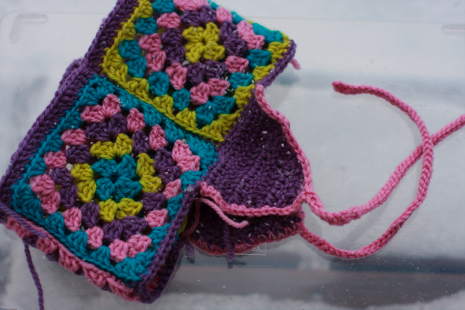 Here’s an update on the granny square hat that I’m making for my youngest daughter. It’s coming along, but I can’t decide how to finish the top. Right now it looks like a headband with ear flaps. I’m not using a pattern, so I have to make some design choices as I go. Any suggestions?